I am constantly amaze that there are people, actively engaged in high tech business who regularly and repeatedly shoot their marketing efforts in the foot because they don’t understand the concept of “permalink”. I am talking about people who are experts in high technology. Yet they just don’t grok the web. Don’t let this happen to you. Someone had decided that that old address with ‘directory’ in it just had to go, and instead it was far more friendly/logical/decorous/whatever to have ‘about-us’ in the address instead. In doing so, in this one action, broke every link that every faculty member had made to their profile. I did a quick search on Google for the first part of the old address, and I was able to easily run though pages and pages of search results showing that links had regularly been used to make it easy for others to find a persons faculty profile. Links from Linked-In profiles to the institution. Links from forum posts, and email records. More important, links from articles and blog posts referring to these people. And this is not an accident! The error says quite clearly that the web site has been reorganized, and you should just browse around and find whatever you are looking for, as if that was acceptable. Clearly somebody felt that there was a benefit of changing the URL to have “about-us” in the path, instead of “directory”. Once a link exists, it really does not matter how the address is composed, or what the parts of the address are. Nobody ever reads the address for fun. It is simply used to retrieve the information it links to. In the user interface the folder that changed is called “products and solutions” so at the file system level one could easily use either. Someone (and I never found out who) decided that the folder should be renamed “solution” and there should be some rearrangement of the things as well. To what benefit? Sometimes you absolutely have to change the name of a folder (for example a brand name change, or company name change) but this change is neither of those. Let’s presume that this change was made because the person making the change felt that the contents of the folders would be easier to maintain in the future in this better organized way. The is precisely the wrong priority. Rearranging the contents to make it easier for the site maintainer breaks all the links to the site. All the product reviews that lead people to the site. All of the forum comments, product comparison articles, and blog posts are cut off from the product. Sure, someone can search for the product if dedicated, but those casually browsing will probably read the unbroken links about products from other companies. These links addresses are generated automatically by the blogging software. I am guessing that this is an accident from either changing blog software, or configuring the software differently. It seems inconceivable that a blogger would purposely break all the links to his blog posts, but this sort of accident is easy to make with drastic consequences. I hope he can fix this because I don’t want to go though my pages and change all the links to his site. The web is a web. (duh!) The power of the web comes from being able to link an article at one place to an article at another place. There is a network effect, which means that as the number of interconnections increase, the value of each link increases as well. Clearly, if you put information on the web, you want people to read it. And before they can read it, they have to find it. If they don’t know that it is there, they are not going to search for it, and so you need someone to refer them to it. One of the best things that can happen is for another page to link to your page. This might be a forum discussion, a review page, a list of similar products, a blog post, whatever. Those links lead people to your page, and those links are very valuable. 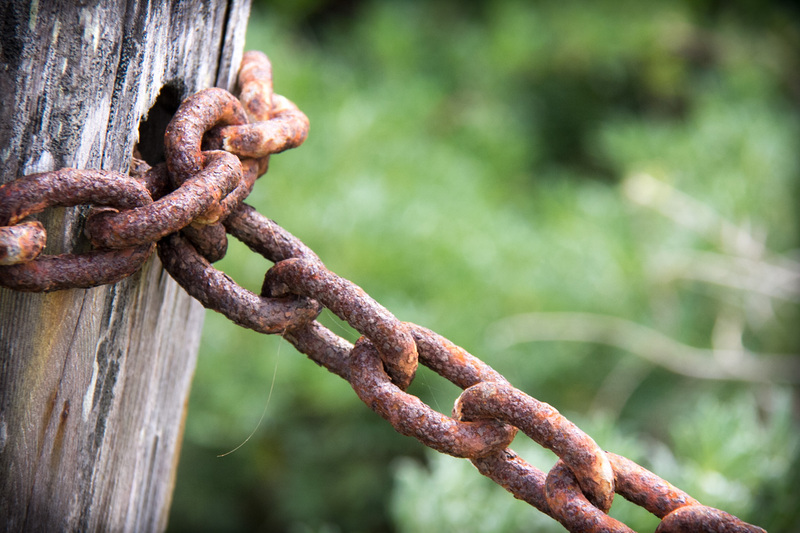 The more links, the more effective your page is at allowing people to find it. Moving or renaming a page breaks all these links. Of course, everyone knows that! Why on earth would anyone make trivial changes to the name of a folder that forms a URL? Why is “about-us” so much better than “directory” that one has to break all the links to every faculty member’s profile? I can categorically say that it is not. This change must have been made by someone who had no idea how the web works. Clearly, from the comment, they expected visitors to the site to “search for people”. The idea of linking directly to a page must have been the furthest thing from their mind. Yet, those links are where most of the value of the web comes from. At the WfMC we had to move the XPDL.org web site, and I insisted at the time that we keep all the addresses the same. I am glad we did, because I keep discovering links to that site, even in printed conference proceedings from 10 years ago. You can still access those pages. The only surprise was that others apparently felt there was no real harm in changing the names or folders. There are many web sites that allow you to browse the contents and never offer any sort of durable address. This is a common trend using Flash or HTML5 to make glittery sites that swoosh and zoom. Apparently, the designers of these sites believe that people love navigating through menus and such to find stuff, and will never want to directly link to specific detailed pages. I have heard site designers say with scorn that they hate it when people make “deep links” directly into specific pages. These sites will never gain most of the benefit of the web. I can only conclude that these people don’t understand the power of the permalink. Permalink is the idea that there is an address to a web page or a piece of information that is durable and reliable. It is never changed, and you can count on it to not change in the future. A permalink is a commitment to providing that information at that web address in the future. It is just a web address, but sometimes you can view the same information with multiple different web addresses. The permalink is any address that you make a commitment to service in the future. Never ever ever change the name of a web page that you want people to find. Nobody really cares what how the URL is composed. They care only that it works. If you have to change the folder or location or site address, provide a forwarding page at the old address. Forwarding isn’t perfect, but at least those following old links will eventually get to the right page. The user of the link gets the same benefit. It means extra work, and potentially ending up with twice as many pages — the real page, and the forwarding page in the old location. Add content or edit content, but never remove content. If the page is about something that changes, like “Upcoming Shows” it is natural that this content will change over time. Any link to this page will display the latest contents. You can add pages into any folder and link to them to add content. The rule is you never remove pages, however you can modify the page to nothing more than a forward to another page. When creating a page or a folder, think about how this URL will look in 10 years. Design your folders from the beginning to be durable. Don’t make a folder like “new_products” because a few years from now these current products will not be the new ones, and something else will be there. Instead, fix the time, like “2013products” which will be good forever. Avoid using generic addresses. If you are putting on an event, don’t put the event details on home page for the site. The home page will certainly mention the latest event(s), but put the details at an address that you can maintain for years into the future. If you are promoting a book, don’t put the details on a page called “book.htm” because you might leter decide to promote a second book. Instead put the details for the book at an address specific for that book. Next year you will have something else on your home page, but if you follow this rule, links to the 2013 event, or links to that book, will remain valid. Consider putting a date in base folder to give you options in the future. It is a good idea to make a folder named after the current year. This is so that if you decide to change names or terminology next year, you will not have a name clash. For example “/2013/BestOfShow/” can be used this year, and next year, when you have a different selection, you can use a folder “/2104/BestOfShow/” with different contents in it. You don’t have to copy everything from year to year. It is OK to continue to maintain the contents of a page your created in 2008 and happens to be in a 2008 folder. Nobody cares about what the URL is, but using a date gives you a way to avoid name conflicts as things change in future. You may find over time that the old years get transformed to forwarding pages, and that is OK.
Use the permalink as much as possible to link to the page. I mentioned that there may be multiple ways to display the same contents, but it is important to actually use the permalink if possible so that when a user finally gets to the page, the permalink is the address in the browser. If they favorite the page, or if they copy the current address, they will be getting the permalink. This also helps search engines pick up the permalink for use in referring searchers to the page, and the search remains valid. Things are looking positive for the new generation of workers coming in. I was having a conversation with a new marketing intern we have. I was asking that if she did work on the site, please make sure not to change any of the folder name. She had a look of astonishment, and said “Why would anyone change the folder names? That would break all the links, wouldn’t it?” Yes. So correct. I find it very heartening that the digital natives come to work already clued-in to how the web works.